It is always a lot easier to move on from an idiot of a cheater than from good friends who never said goodbye. I met a lovely couple years ago through my previous room mate. She is an architect and so are the couple. The three of them have been friends and colleagues for years, so technically, I was the outsider. But they didn’t let me feel I was. After being with them for just a few weeks, I felt like I’ve known them for decades. They are the coolest couple I’ve met so far. Both artistic in their own ways, Ate is very good with origami while Kuya is a great musician. We usually hang out on weekends and Kuya will always bring his musical stuff, recorder, mic and other stuff that only he knows. Since they knew how frustrated a musician I am, a guitar player who never knew what pentatonic scale means, a singer who was never in tune, they encouraged me to keep practicing and somehow they sparked something out of my dreams in hibernation. Keep playing until the strings of your guitar snaps off. Keep singing until your room mate throws a pillow on your face. Me and Kuya sang and played the guitar while Ate and my room mate recorded us. Kuya arranged one of the songs I’ve recorded on his gadget and made it sound like a professionally studio recorded song. I can’t even believe it was my voice I was listening to. The universe has its way of bringing birds of the same feather together. We are all very positive individuals but we always attract negative energy. Opposites attract? They’ve always complained about people snooping around their lives. They’ve always lived simply but always attracted envy. They’ve shut themselves down from the world but we kept on living our happy lives in the small world we created until the day they have decided to close their doors on me and my previous room mate. I tried to contact them in any way I could but I never heard from them and what hurts the most is not to know what happened in between and what I did wrong. A few days ago I visited my youtube account and saw the videos we’ve recorded. I smiled. I remember how they gave me a taste of how it is to be a real musician and it was so sweet. As sweet as our then friendship. As sweet as the bottomless iced tea and the corn beside our steaks. As sweet as the hot chocolate and the cool air we tasted on winter mornings and the cold bubble tea on summer afternoons. If by any chance they come across this blog, for sure they’ll both know that this is me. There can only be one existing aysabaw in this universe. I missed both of you. I missed us. The four of us. So please, Ate and Kuya, talk to me again. 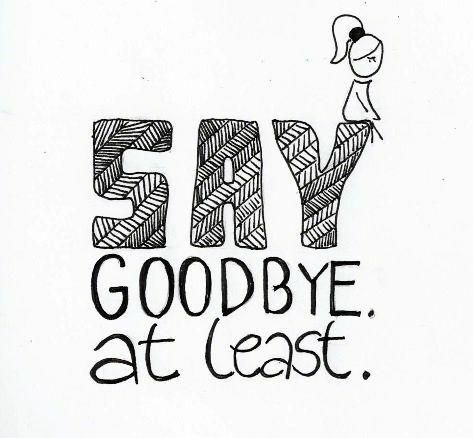 Or say goodbye, at least. Sure! Di ko po ipagkakalat. ipinapanalangin ko na mangyari ang inaasam mo sa post na ito. naiintindihan ko ang sakit na nararamdaman mo. hindi ito nalalayo sa pag-ibig. ha ha ha. sana nga pansinin na nila ulit ako ha ha. Awww that’s a shame. Sorry to hear that. I know the feeling. But I’m glad you have good memories of them to hold on to! Maybe it wasn’t anything you did, but just something in their lives that made them need to move away and cut ties with everyone?! Haaay. Yeah there are good memories to look back to and if they don’t want me anymore what can I do? Proud moment of frustrated people..
Mukhang ngayon, ate, naglevel-up na yung tinatawag mong frustrations. Yiee! Anong kaarkihan po ba sa buhay? Lol. Sige hanapin ko po, pero itutulog ko na muna, baka paggising ko mahanap ko na haha goodnight!